In Tulsa, Nueva Esperanza UMC reports significant gains in 2015 as a multicultural church. Programming offers opportunities for families to share their ethnic heritage. 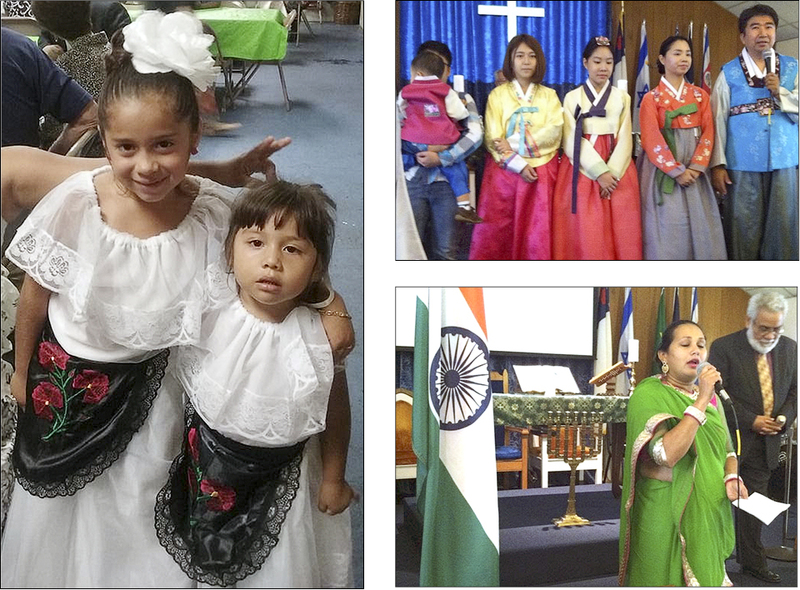 Clockwise from left: two girls model Mexican clothing, the Won family sings South Korea’s national anthem, and Preetedave performs the national anthem of India. Pastor Daniel Llanos Jimenez said the congregation now includes people with roots in nine Latin American nations — El Salvador, Brazil, Guatemala, Peru, Mexico, Dominican Republic, Puerto Rico, Costa Rica, and Cuba — as well as South Korea and India.